Throughout the path of life, the errors of man, and the turmoil of history, the violence committed due to the desire for power, all seem insignificant. In the march on humanity’s long road and endeavors towards peace and perfection, it counts for very little. They are only small steps in the process of evolution. Ever since Reza’s first encounter as an adolescent with social injustice in Iran, his mission has been to observe the world and to fulfill his role as a witness. Often at the heart of conflict, tension, tragedy and misery, but also within the joys, he is able to capture the memoirs of human beings caught up in the world’s turmoil through the universal language of photography. However he does not show sadness or hopelessness towards humanity which , beyond the millennia, is still marking its genesis. He has always without a doubt greatly valued the importance of poetry during his intimate journey, giving a different meaning to life and shaping a sense of inner peace. The exhibition Fenêtres de l’âme held in Bastia, Bonifacio, and in Corte, tells a story of our unique assets and universality of humanity as a whole. In Afghanistan, « to be carefree » translates as « having light wings ». The exhibition Insousiances (Carefree) at the Bastia museum presents a journey throughout these moments of grace, far from the conflicts and turmoil of the world. A light is shined on these people living at the top of the world in Egypt, Cambodia and in Pakistan, who knew how to preserve the world’s riches. Résistances (Resistance) in Corte, is a tribute to the revolutionary souls who have crossed paths with the photographer Reza throughout this journey on the planet’s roads. What is pushing and motivating those to continue trekking through the mountains, fighting against empires, working in silence at maintaining a stable home, patiently ensuring the dignity of their own people, and developing a strategy of peace? What is driving those who resist? A dream? Poetry ? A rebellion ? This visual reflection, exposed in the garden of Corsica and on the city walls, acknowledges those who water the garden of resistance in their life paths. In Bonifacio, the exhibition displays a panel of portraits covering the openings of the Genoese barracks. Beyond just their faces and their paths in life, is a kaleidoscope of the citizens of the world, who confidently share with us a part of their soul through their eyes. 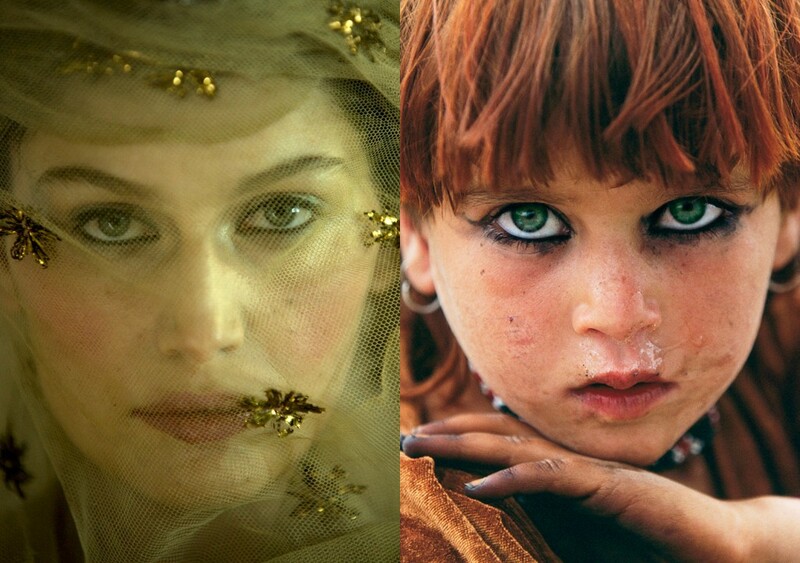 Whether they are princes, queens, passersby or beggars: these beings encountered in the struggles or glory present to Reza the photographer and to the visitors a sense of modesty, humility and wisdom. Beyond the borders, the cultural diversity and deadly wars, these images do not only portray the sadness of mutilated lives. If they are witnesses, they tend to show the smile behind the tears, the beauty behind tragedy, as life is stronger than death. Fenêtres de l’âme is a story of the human family, our family.